Male creepers establish and defend the breeding territory through vocalization. Songs are generally weak and quiet trills, and calls are high-pitched and thin. Though they may often go unnoticed, songs and calls may be the best way of locating these highly cryptic birds. Breeding biology of the rusty-flanked treecreeper and the brown-throated treecreeper is not very well known. In all other treecreeper species, nests are usually constructed beneath a loose piece of bark on dead or dying trees. Occasionally creepers will construct nests on buildings, walls, crevices in trees, or in heavy vegetation such as ivy. Some species also infrequently use nest boxes. 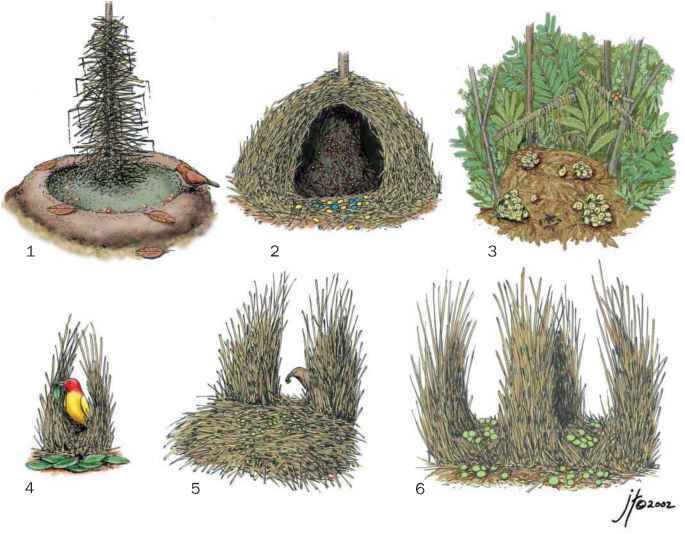 Height of nests from the ground varies from species to species and can range from 1.6 to 52 ft (0.5 m to 16 m). There are four to six eggs in the treecreeper clutch, and they are white and faintly spotted red or reddish brown; Spotted creepers have fewer eggs in each clutch (one to three) and the eggs are usually gray, greenish gray, bluish, or greenish blue with black or brown spots. Only the female incubates the eggs, but both sexes feed the young. Duration of brooding varies from species to species, but lasts from 13 to 17 days. Treecreeper pairs frequently double brood. Treecreepers usually form family parties for two to three weeks after the young fledge.